BUY CD'S For yourself...for gifts...it's easy with PayPal! You don't even need an account, just your credit card. 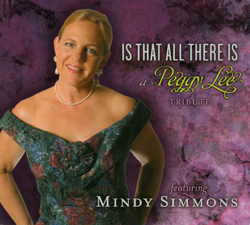 Includes 19 songs originally performed by Peggy Lee, including It's A Good Day, Why Don't You Do Right, Manana, Black Coffee, the Siamese Cat Song, He's A Tramp, You Go To My Head, Teach Me Tonight, Apples Peaches and Cherries, Fever, All Right Okay You Win, Hey Big Spender, I'm A Woman, Medley Of But Beautiful and Second Time Around, They Can't Take That Away, I Don't Wanna Play In Your Yard, I Just Wanna Dance, You Gotta See Mama, and Is That All There Is. This is a live performance presented at the First Unitarian Church of Pittsburgh by their Folk Music Society, Calliope. An unplugged, acoustic concert recorded with one free standing microphone. The Church's beautiful acoustics added to the wonderful sound. Songs include Golden Vanity, Frozen Logger, Ain't Florida Neat, Summertime, Home Filled With Love, Because I'm Blond, The Eagle Flies, The Freedom Ride, Snuggling With You, Prayer For A Festival Child, The Breakfast Blues, Woman Be Wise, We're All The Same, Give A Little Love, Somewhere Over The Rainbow, and Fever. The songs are interspersed with talking points from the concert. One World Our World came about due to a succession of events. 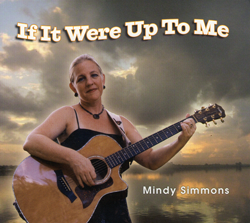 Mindy's friendships led to the idea for this CD/DVD project. There is a story behind each song. Ask Mindy about them...visit our contact page or send an email to Mindy about your favorites. Songs on the CD include One World; Somebody's Baby; Put A Little Love In Your Heart; Can't Help Ourselves; Peace Throughout The Land; Walk Away; Bring It On Home; Two Things; If That Train Doesn't Stop; I Didn't Mean It, Don't Get It; and Tikkun Olam, Repair The World. This Album costs a few dollars more, because it includes a DVD as well. Back in the early 2000's Mindy was serving as a music minister, and was asked to write a welcoming song, which is how We Gather Here To Celebrate was written. Other songs include I'm Going Home, inspired by the story of the prodigal son, Spirit Lives Through Me, God Is, Yes Spirit Loves Me, God's Plea, Faith Is, To Make You Feel My Love, Blessed Are The Gifts, Will You Wait, Prayer For Protection, and the centering song for meditation that MIndy wrote entitled Be Still And Know. 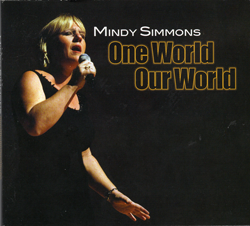 Inside of this CD cover, Mindy states: "I am a World citizen, I am an American, I dedicate this recording project to all of us in the world who are dissappointed with the direction of our country's leaders as they give over to the greed of corporate ownership." 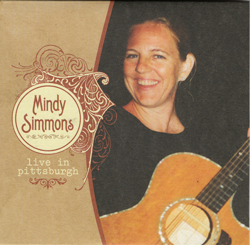 In the true spirit of folk music, Mindy sings 13 songs, including If It Were Up To Me, Alice, One World, Try A Little Faith, Could You Believe In A Dream, Who's Gonna Fill Their Shoes, Common Ground, Peace Like A River, Permission Granted, Shine On, I'm An American, Song Of Silence, and I Wish You Peace. This CD project was made possible, in part, by a grant from the St. Boniface Episcopal Church Foundation for Outreach in Sarasota, FL. Based on a budget of $55-60 per child per year, $12 from each CD sale donated to the Casa Ave Maria CECAPI Children's Project means your purchase of only 5 copies - one for yourself and four as Christmas gifts for others - will help feed, train and educate an at-risk child in Masaya Nicaragua for one full year. Nicaragua is considered one of the poorest nations in the western hemisphere. 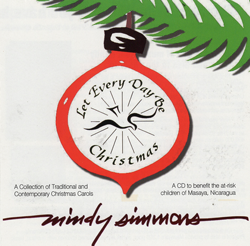 Music includes 10 traditional Christmas songs arranged by Mindy Simmons: Some Children See Him; Do You Hear What I Hear; What';; We Do With Mary; Joseph Dearest, Joseph Mine; Oh, Little Town Of Bethlehem; What Child Is This; Little Drummer Boy; Silent Night; Oh, Holy Night, and Let Every Day Be Christmas. 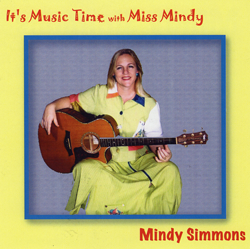 Mindy says parents beg her to create another of these fun CD's - mainly because they wish their children had some new material as they sing all of her songs, over and over again. It's a fun time...and includes It's Music Time; Lollipop Tree; Itsy Bitsy Spider(parts one through six); Ten Toes, Ten Fingers; We're All The Same; Adding Song; Five Vowels, 21 Consonants; The Name Song; March, Hop, Leap, Walk; Sing A Rainbow; Give A Little Love; Car Safety Song; Rainbow Principles; The Good-bye Song; Loomis the Enlightened Caterpillar; and Morningtown Ride. Be sure to peek at all the pages, listen to our music. We hope to see you soon at a live concert.